يشكل فندق Corinella Country House بموقعه الممتاز في قلب Kyneton نقطة انطلاق ممتازة لاستكشاف ديلسفورد وماكيدون رينجز. يمكن من هنا للضيوف الاستمتاع بسهولة الوصول إلى كل ما تقدمه هذه المدينة النابضة بالحياة. يوفر الفندق بفضل موقعة الجيد وصولاً سهلاً إلى أهم معالم المدينة.
. إن الخدمات الممتازة وحسن الضيافة العالي في Corinella Country House تجعل إقامتك تجربة لا تنسى. إن مكتب الاستقبال على مدار الساعة, تخزين الأمتعة, صف السيارات, التوصيل من وإلى المطار, مرافق للشواء هي جزء فقط من الخدمات التي تميز Corinella Country House عن باقي الفنادق في المدينة. تتضمن كل غرف النزلاء وسائل الراحة والتسلية المصممة خصيصاً لضمان الراحة القصوى للضيوف. سواء كنت من محبي الرياضة أو كنت تتطلع لتفريغ عناء نهار صعب، ستجد خدمات ذات مستوى عالي بانتظارك كمثل حديقة. يحظى فندق Corinella Country House بموقع ممتاز وخدمات يصعب منافستها. 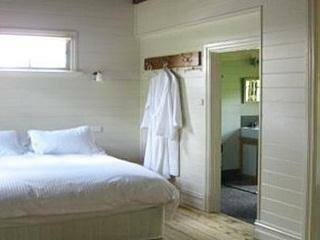 A lovely cottage, with everything you could want for a relaxing getaway from the hustle and bustle of work. 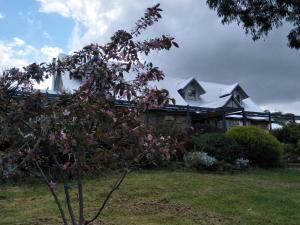 Very nice hosts, great location within a short drive from Kyneton township. Highly recommended. We had a wonderful stay at Corinella House. Our hosts made us feel at home, and the accommodation itself is gorgeous, and tranquil. We had a very comfortable stay, and our young son really enjoyed feeding the Alpacas! Highly recommended! They have alpacca on the property you can look at! We had an excellent stay at Corinella. Steve and Sue are such warm and friendly guests. We stayed in the self contained cottage, and it was so comfortable and enjoyable. The property that it is located on is just so lovely. It's a beautiful old property, complete with a little herd of gorgeous alpacas. Sue left a delicious slice of cake in the kitchen for our afternoon tea, and the kitchen fridge was decked out with more than we could ask for so that we could make ourselves a delicious breakfast. The property is only a short 4 minute drive from the quaint town of Malmsbury and about a 7 minute drive from Kyneton. A great spot if you're looking for a break away from the city. We'll definitely be returning. Warm country hospitality from hosts, Complete, quiet, no pressure relaxation. Spa tub. boosted my spirits when I arrived alone (my wife had suddenly become ill and couldn't accompany me to my adventure race at Hanging Rock.) They gave me friendly service, a restful stay, and a great breakfast! I look forward to returning to Corinella with my wife to escape, wander the gardens, and visit the interesting local attractions and eateries! 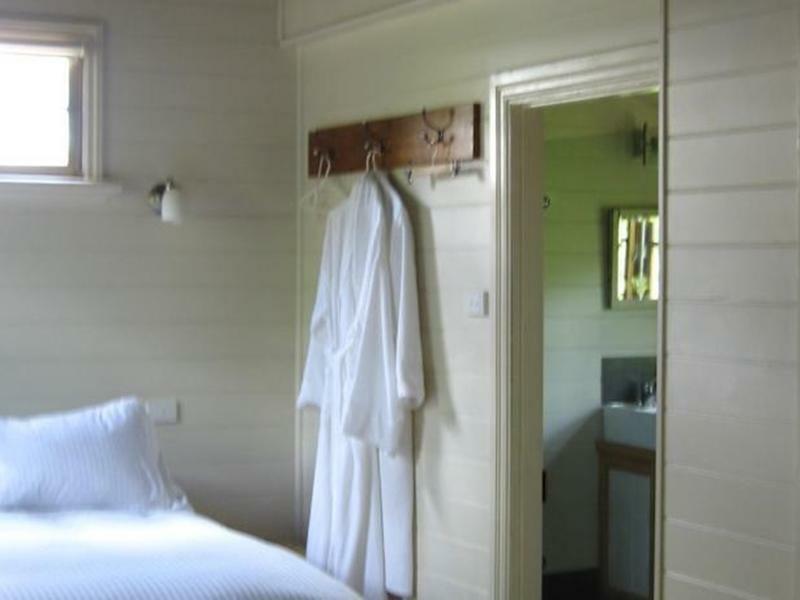 very clean, large rooms, with beautiful views of the tranquil gardens, a large bathroom with a view, roaring fire in the fireplace to welcome us, a refridgerator stocked with local produce to make a delicious breakfast.The peace and quiet and the beautiful tranquil garden. The friendliness of the hosts Sue and Steve Wright nothing too much trouble for them to assist when needed. We had a very peaceful and enjoyable (too short) days in Corinella Country House. The house is beautifully restored, the garden a gardener's delight, and being on a workng farm, a great place to lose yourself with the farm animals and the peace and quiet.